This event was run by the Anglo-European College of Chiropractic’s (AECC) Vanessa Shead and Neil Osborne as part of BU’s Festival of Learning 2014. 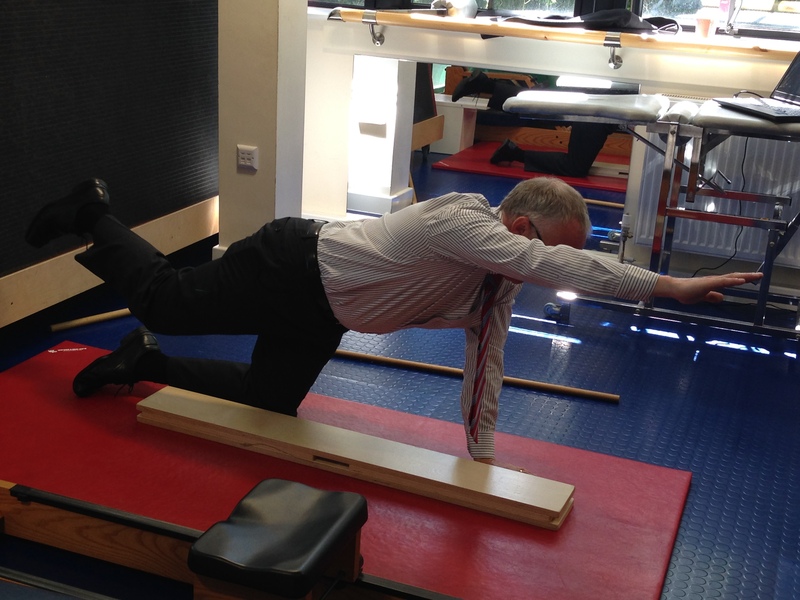 The AECC Clinic Team demonstrated how training muscles doesn’t just mean strengthening them, and why this is so important for not only for athletes but for everyday folk as well. They demonstrated how they test peoples’ balance and movement habits, and how important these are in activities of daily living and preventing pain or injury. The audience had a go at some of the exercises, including using a balance platform to chase a ball around an electronic screen. The Clinic Team also gave some great advice on how to incorporate useful exercises into everyday life, for example standing on one leg while cleaning your teeth to improve balance, how to get out of a chair in a back-safe way and how to engage your core whilst climbing the stairs. Participants were encouraged to try out the high-tech equipment during the sessions and several had a go at an exercise emphasising the need to train the control of muscles, not simply their strength. This fascinating session was completely interactive so participants got to measure first-hand how flexible, stable and strong they were and how they could develop areas if they chose. You can see some of the activties in the photo gallery below. Judging by the smiles and competitive spirit, the participants enjoyed the interactive style of the session, sparking lots of intrigue and questions throughout the day.